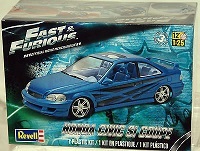 Great plastic model kit of the Nissan Skyline R33 GT-R V-Spec. 6" long when completed - this is an extremely high quality model kit. Paint and glue required (not included). Great plastic model kit of the Nissan Skyline R32 GT-R. 6" long when completed - this is an extremely high quality model kit. Paint and glue required (not included). Great plastic model kit of the Nissan R390 GT1 race car. 6" long when completed - this is an extremely high quality model kit. Paint and glue required (not included). Tamiya makes the best kits on the planet. Paint and glue are required. Over 6" long when completed. Tamiya makes the best kits on the planet. This one is approx. 6" long when completed. Paint and glue are required. 7" long when completed (paint and glue required - not included). Click for more photos. They can be easily painted prior to assembly, or keep it the silver color. 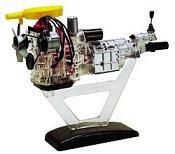 These are really nice 7" long metal body model kits. We only have a few left! Paint and glue not included. 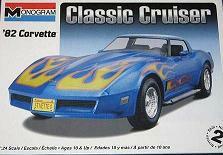 Brand new in the box, this 1/24 scale plastic model kit is over 6" long when assembled. You can build it with or without the decals, and paint it any color you want. Paint and glue not included. 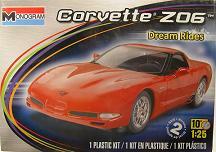 Brand new in the box, this 1/24 scale plastic model kit is over 6" long when assembled. Paint and glue not included. Excellent quality 1/24 scale plastic model kit of the Mazda Eunos (Japanese version of the Miata) by Tamiya. 6" long when assembled, requires glue and paint. 1/25 scale (6" long) plastic model kit. It comes with 2 different sets of rims and has very nice engine detail. Paint and glue requited, not included. 1/25 scale (6" long) plastic model kit of the US version Integra Type R. Kit comes with 3 different sets of rims and 3 different wings. Has very nice engine detail. Paint and glue requited, not included.